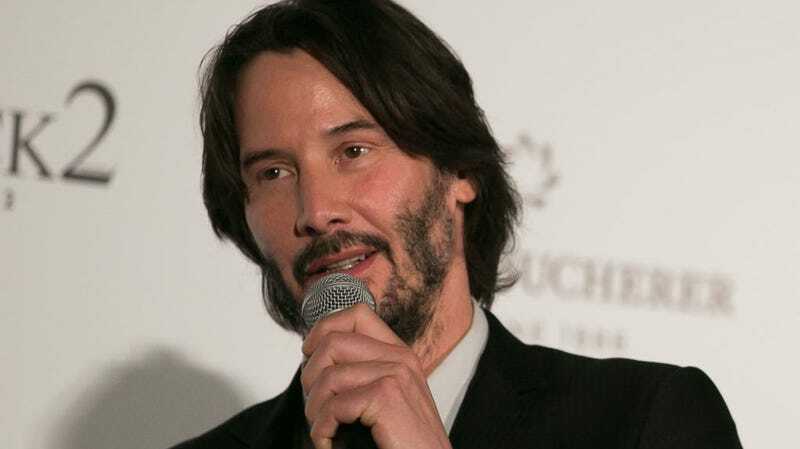 And what challenges are those, given that Reeves, his longtime co-star Alex Winter, and franchise creators Ed Solomon and Chris Matheson are on a board, the script has been written, Galaxy Quest’s Dean Parisot is directing, and the film was being shopped around at Cannes as recently as last May? Reeves didn’t elaborate, but maybe studios were thrown by the idea of these righteous dudes now being middle-aged parents who are tasked with writing a song to save existence. Or perhaps, as Solomon previously stated, he and Matheson are holding out for the right collaborators, who aren’t just looking to cash in on the nostalgia for San Dimas. We know this is a bummer, but at least the John Wick trilogy is moving along nicely—here’s Reeves riding a horse on the set of the new film, subtitled Parabellum.